3. Leaders enable others to act (continued). a. Give power away. Paradoxically, leaders become more powerful when they give their own power away. Leadership power is not a fixed and limited sum to be hoarded and grudgingly divided up only when absolutely necessary. A leader’s power is not reduced when he empowers others. Organizationally, power actually expands and multiplies when it is shared with others. When people have responsibility and genuine influence, their commitment to the organization and its success drastically increases. The key to unleashing an organization’s potential to excel is putting the power in the hands of the people who perform the work. Thus leaders must trust and respect their constituents, and they must know their people well enough to empower them appropriately. b. Provide choices. Good leaders will enlarge their constituents’ spheres of influence, and will provide them with greater decision-making authority and responsibility. They will remove or reduce unnecessary approval steps, eliminate as many rules as possible, increase people’s flexibility regarding processes, support the exercise of independent judgment, encourage creative solutions to problems, define jobs more broadly (as projects, not tasks), provide the resources necessary for success, and support freedom of organizational communication (both vertically and horizontally). c. Develop competence. If people are to succeed in their new and increasing responsibilities, they need to develop their capacities. 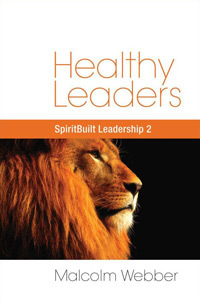 Leaders must invest in developing their people’s skills and competencies. d. Assign critical tasks. People’s increased sphere of influence ought to involve something relevant to the most pressing concerns and core issues of the organization. We do our best when our work is critical to success. Empowerment should be genuinely significant and not merely a token acquiescence to the latest management fad. Moreover, leaders should regularly inform their constituents regarding the organization’s performance and the evolving challenges it faces. e. Offer visible support. It’s who you know that counts. Leaders should assist their people in making connections and building strong relationships with others who can help them accomplish their tasks – both inside and outside the organization. Facilitating this networking is empowering. Also, by making visible heroes and heroines of others, a leader will increase those people’s power as well as build a stronger bond between himself and them.